Mothering Sunday falls on April 3 this year and I have been busy searching for the best presents, from my favourite shops, to gift your Mum, Grandmother, or a female family member, to show just how much you care! Each page is dedicated to one store with my customary shop the page feature below. 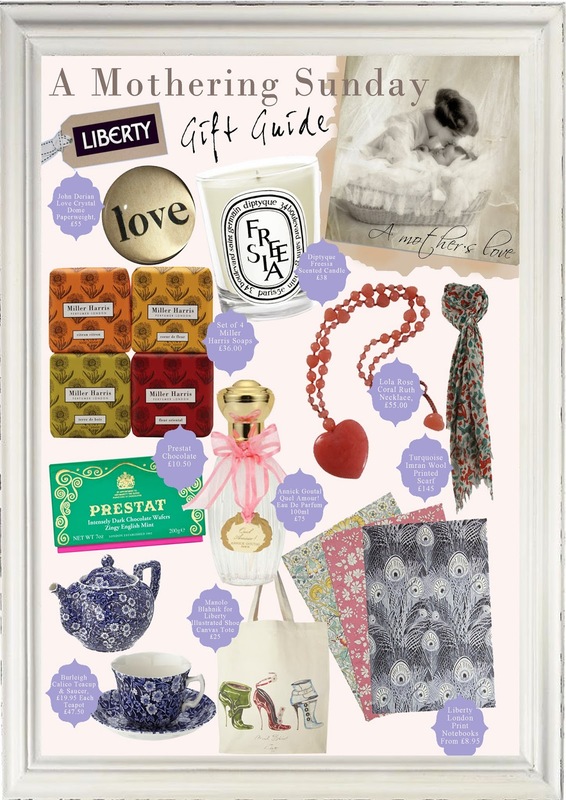 First up, is one of my favourite shops in the World - Liberty London! The atmosphere when you step inside this beautiful Art Nouveau building, evokes feelings of tradition, heritage and luxury.